Click here to purchase work by Cynthia Cornett on our shopping site! "I like it when a place has been around long enough that there is a kind of tension between the way it was originally designed to look and the way it looks now, as well as a struggle between the way it looks to whoever is caring for it and the way it looks to me. Unfortunately, the kinds of places I find most appealing keep getting closed, or worse, torn down. I think of myself as a time traveler, able to stop time when I take a photograph. Richmond street art is one of my loves, my passion. I feel a need preserve and share it like a historian, before it is gone and lost forever. I have seen street art covered, painted over, or torn down to be replaced with the "bland new." I feel sad when that unique art is gone. So I ride up and down the streets of Richmond on a mission to preserve one more piece of Richmond's Street Art before it's gone. My art celebrates the human, the marks people make on the world, the small, local, eccentric marks expressing their uniqueness. What brought me to photography? My photography was about finding who I was by looking closer at things that we normally don't take the time to see. To stop and take a deep breath and let it out then look again. It has been about healing after losing two sons. It was the death of the latest when I picked up the camera again and started seeing things from a different light." You can contact the artist at Art Works, Inc. in Richmond, Virginia from noon - 6 p.m. Tuesdays through Sundays (804) 291.1400. All images are the property of the artists and may not be duplicated without permission. 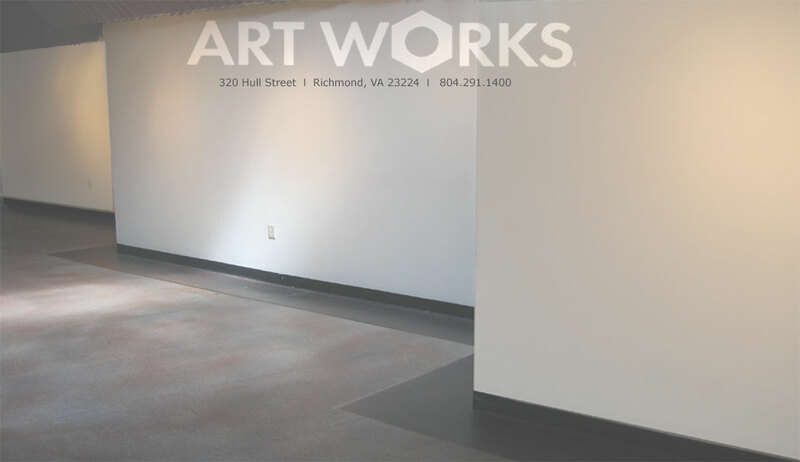 Contact Art Works, Inc. 804 291.1400 in Richmond, Virginia U.S.A. for more information or if you wish to seek permission for use of images.